Pirates of the Caribbean, Space Mountain, and Big Thunder Mountain were all favorite stops at Disney when I was a kid. My father was fearless, and as soon as I was tall enough to enjoy theme park rides, he introduced me to them. I grew up at the Disneyland Resort, so there is always a mix of nostalgia and excitement when I visit the parks. One of our family’s favorite rides, Pirates of the Caribbean, will celebrate its 50th anniversary on March 18, 2017. Because my mom didn’t really like roller coasters, it was one of the few rides the three of us enjoyed together as a family. When my kids were born, this was where I sought respite from the summer heat here in Southern California. As often as we visit Disneyland, we can’t leave without a ride on Pirates! 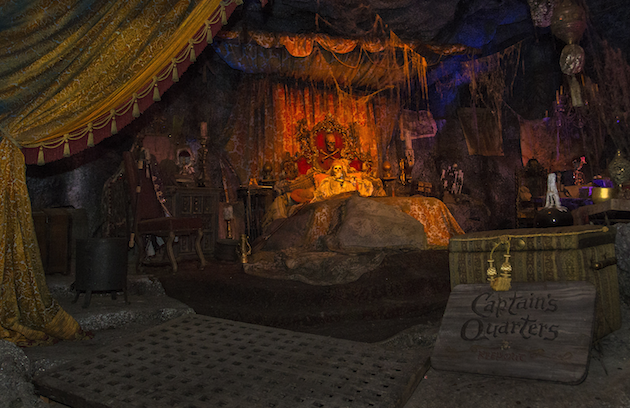 To commemorate the 50th anniversary of Pirates of the Caribbean, Disneyland will celebrate with pirate-themed entertainment, exclusive merchandise, and special food and beverage offerings. The celebration begins March 16th, 2017 and runs through March 18th, 2017. Here is what you can expect during the 50th Anniversary Celebration of Pirates of the Caribbean at Disneyland. Visit French Market Restaurant, Mint Julep Bar, Harbour Galley, Royal Street Veranda, Cafe Orleans and Blue Bayou Restaurant for pirate-themed food and beverages. Beginning Friday, March 17th, 2017, guests visiting Disneyland Park will enjoy performances by the Boostrappers and Lucky the Pirate throughout New Orleans Square. On Saturday, March 18th, 2017, guests will enjoy special appearances by Captain Jack Sparrow. Don’t miss exclusive, limited-edition merchandise commemorating the anniversary in New Orleans Square. Additionally, guests who wish to talk like a pirate can purchase Pirate Speak! collectible cards. 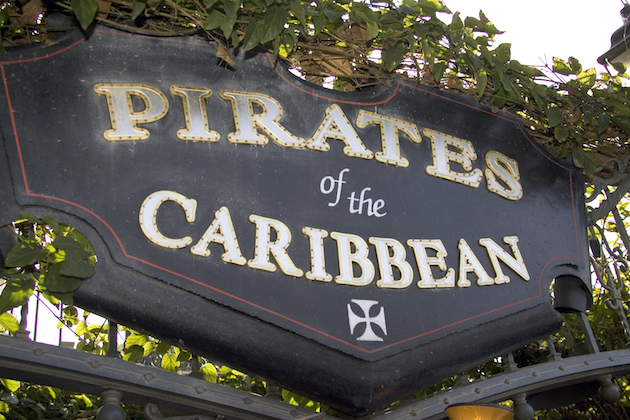 Nearly 400 million guests have experienced Pirates of the Caribbean at Disneyland Park since it opened in 1967. The ride has inspired 5 films including “Pirates of the Caribbean: Dead Men Tell No Tales,” slated to open in theaters May 26, 2017 and can be experienced at five Disney Parks across the globe. 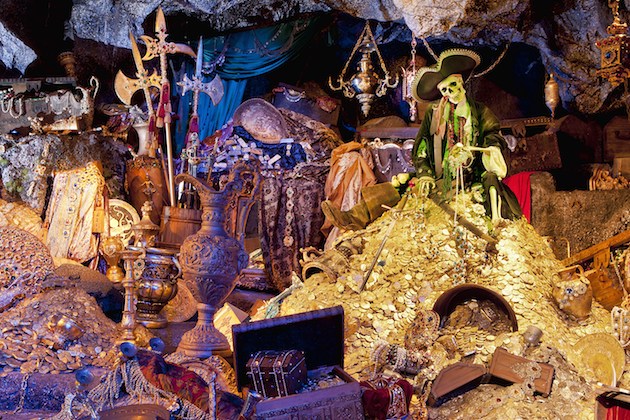 Pirates of the Caribbean was the last Disneyland attraction personally supervised by Walt Disney. The attraction façade was partly inspired by the Cabildo building in Jackson Square in New Orleans. This building served as the seat of the Spanish colonial government in 1799 and is known as the site where the Louisiana Purchase was signed in 1803. Approximately 120 animated characters (including nine different types of animated animals) appear in the Audio-Animatronics cast of Pirates of the Caribbean. Disney Imagineer X Atencio, who wrote the attraction’s renowned tune, “Yo-Ho (A Pirate’s Life for Me),” is the voice of the Jolly Roger skull and crossbones, seen just before guests plunge down the waterfalls. 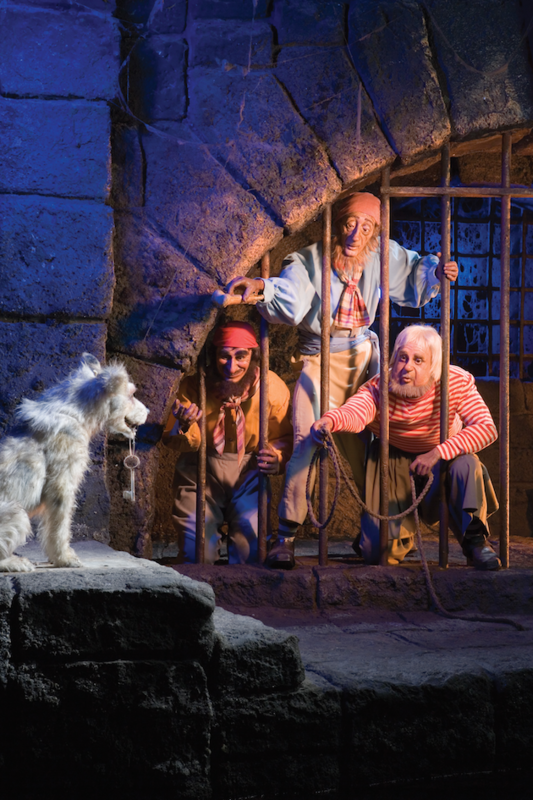 Pirates of the Caribbean is one of the longest rides at the Disneyland Resort at 15 minutes. 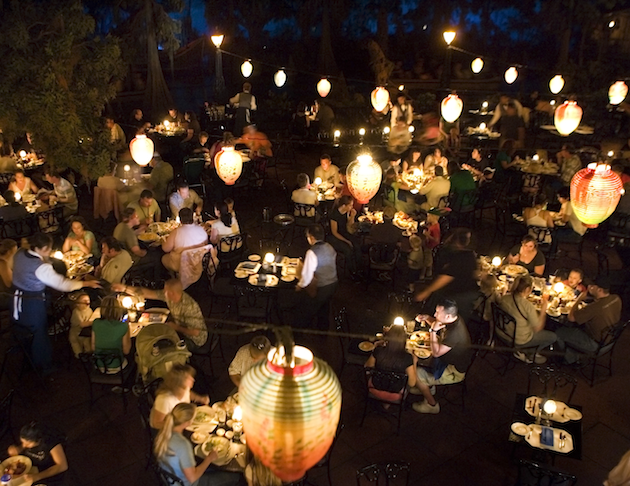 The Blue Bayou restaurant in New Orleans Square affords diners a view of passing boats traveling through a bayou, which is the first scene of the attraction. This table service restaurant is the only dining establishment that looks into a dark ride attraction at Disneyland Resort. Captain Jack Sparrow and Captain Barbossa from the blockbuster films appear in the attraction and the ghostly image of Davy Jones appears on a waterfall. Join Disneyland’s Swashbuckling Celebration this weekend beginning March 16th, 2017!